What can be more annoying and frustrated than a slow internet speed? 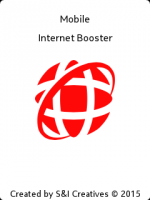 With our "Mobile Internet Booster" you'll be able to optimize the speed of your phone internet by pressing a single button. You will see the difference immediately. We strongly recommend to launch our app before each mobile internet usage for the best results achieving and keeping.